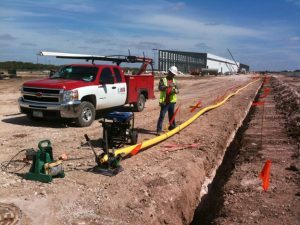 Lone Star Contracting (LSC) has provided plumbing solutions to customers throughout West Texas since 2004. Our expertly trained plumbers are specialists in diagnosing and solving all types of plumbing problems. LSC provides the quality materials and professional workmanship you deserve. Our licensed journeymen, most of whom have been with our company for at least 5+ years, assure that each project will be completed in a timely, organized manner, and to proper codes. LSC is capable of tending to all your plumbing needs. Our skilled plumbers are equipped with all the latest plumbing technology and methods. Let our skilled plumbers solve your plumbing problems quickly and efficiently. No job is too big or too small. We have been the primary provider for San Angelo and the surrounding areas since 2012 serving thousands of customers. Every member of our team values the importance of great customer service. We do our best to provide a friendly and pleasant experience for all of our customers. We are not just there to do a job and drive off to the next project. Our team seeks to educate our customers and provide top-notch advice you can use to make sure your plumbing system experiences minimal problems over time. At LSC, we specialize in the installation of plumbing mechanical systems in schools, churches, apartment complexes, assisted living centers, restaurants, office buildings, strip malls, dental and doctors’ offices, and similar commercial facilities in the West Central Texas area. If your project requires design/build services, we work closely with a mechanical engineer to design a system to meet your requirements. That coupled with our ability to value engineer any project to help our contractors/customers bring their projects in on or under budget! 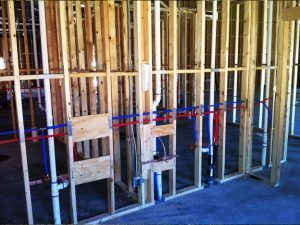 No matter how large or small your new home or building will be, we are equipped to service your new construction plumbing needs. 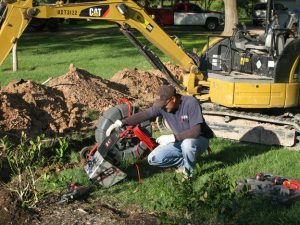 We employ leading–edge equipment and practices to make installation of your sewer, water, and gas systems efficient and practical. Please call or email us for a new construction plumbing consultation. We Offer a Senior Citizen and Military Discount!